There are several things I do at this stage in my life that I never would have imagined myself doing just 10 years ago. I’ve been a full time photographer for around 5 years now, which is about a 180˚ turn from my career in banking before. In 2012 I got my private pilot certificate when my father-in-law bought a small Cessna Skyhawk. 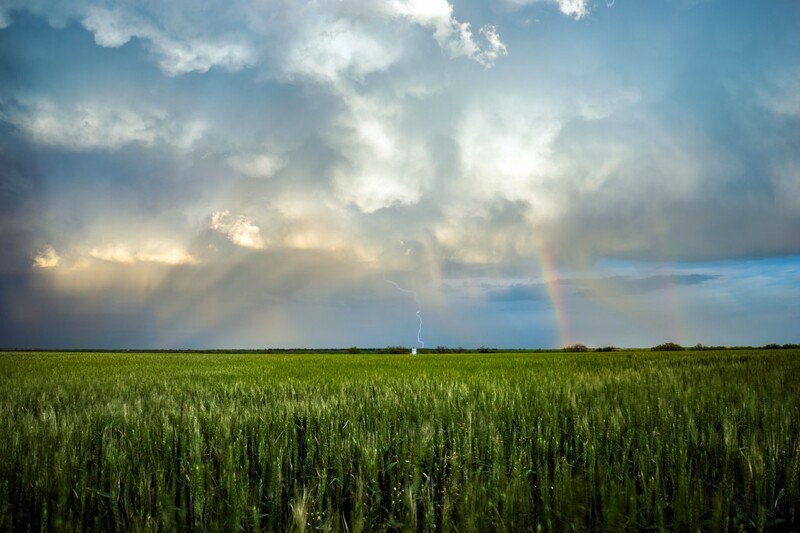 It was the process of getting my pilot certificate (you learn quite a bit about weather) that was a vital ingredient into my otherwise seemingly random venture into storm chasing. If you had told me ten years ago that I’d be a “storm chaser” one day I would have most definitely laughed. To be honest, I wouldn’t even call myself a “storm chaser” at this point. I’m more of a storm photographer. I’m currently wrapping up my second season of photographing storms and I’ve simply been a passenger on most of the chases I’ve been on. The real storm chasers are people like my buddies Mike Mezeul and Kelly DeLay. The driver and forecaster/navigator are really the true “chasers” but the term “storm chasing” is certainly the most widely accepted way to describe what I’ve become so passionate about. Before we really dive in, I want to take a quick moment to thank Mark and the rest of the Really Right Stuff team for giving me the proverbial mic and letting me share a bit about what I do with you all. RRS is truly an amazing company and I love what they do for us photographers. To take a tool like a tripod and make it become a work of art that functions so highly above everything else out there is no easy feat. 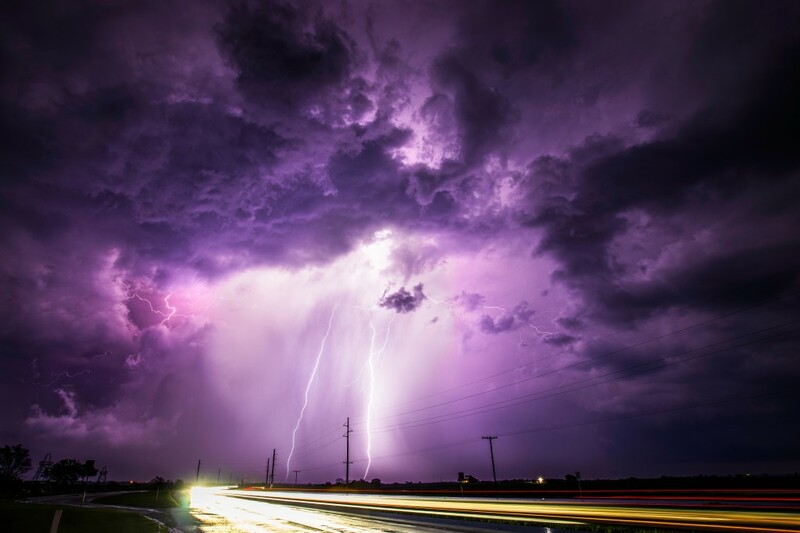 What Is Storm Chasing and Storm Photography? Chasing and photographing storms is something that should never be done on your own unless you’re a meteorologist, climatologist or just a weather junkie with exceedingly above average knowledge of weather patterns and storm anatomy. These storms take lives every single year, including the lives of 3 incredibly smart and well known chasers in 2013. These supercells demand our utmost respect and going out on your own would be nothing short of idiotic. So there’s your disclaimer for this post. 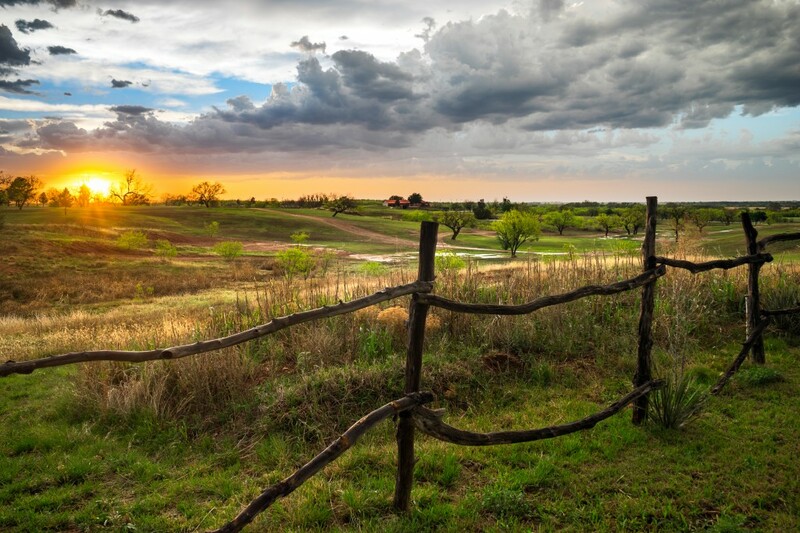 Storm season in the plains of America typically occurs in the spring between the months of March and early June. The main factors that prime this area for massive storms is the convergence of moist/warm air coming up from the Gulf of Mexico and dry/cold air coming down from the northwest. Most everyone knows that cold air sinks while hot air rises. Therefore, when that dry/cold air comes down from the northwest, it wedges itself underneath the moist/warm air from the gulf. In doing so, the moist/warm air is forced upwards into the atmosphere. This lifting force is called convection (there are other lifting forces that can produce storms as well). 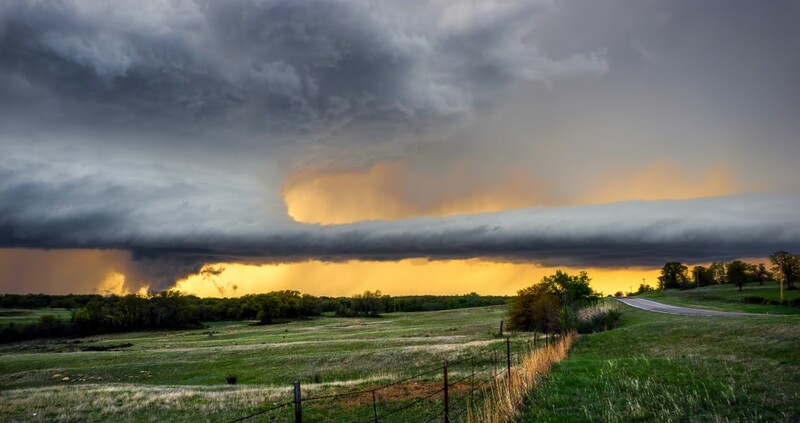 When several other various factors are in place, this convergence of air masses will produce monstrous supercells that can wreak havoc on the plains every single year. 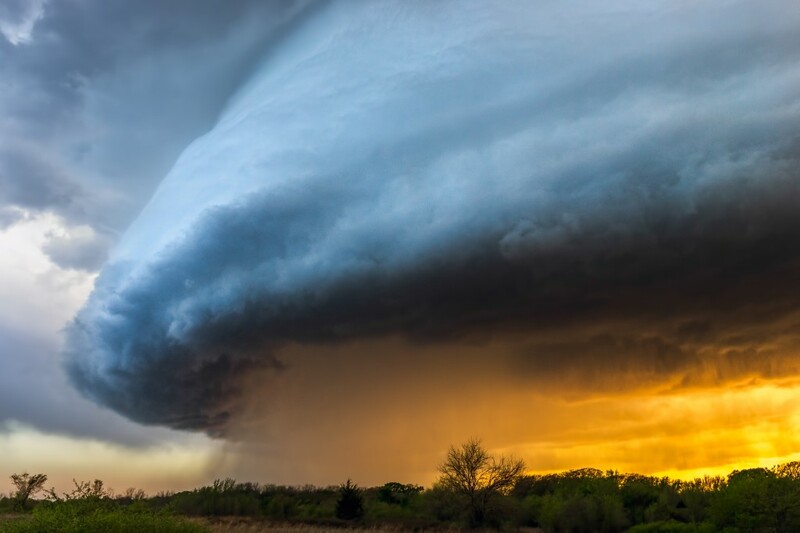 Things like softball sized hail, flash flooding, lightning, damaging winds and the occasional tornado are all possible and even guaranteed each year. The trick is tracking down the right storm, getting into the right position and getting there at the right time (which is so much more complicated than it sounds). As I said before, I’m only two seasons in at this point. I’ve been as close as you can get to seeing a tornado (without actually seeing one) several times now. While I’d love to see a tornado one day (I know I will), that’s really not what I’m after. If my goal was to photograph tornadoes my life as a storm chaser would be a complete and utter failure (as would pretty much any other chaser). What I’m after is structure. Like this. A healthy and mature supercell under the right conditions can be one of the most beautiful things you’ll ever see from mother nature. And at the same time…one of the most ominous, humbling and terrifying things you’ll ever see. I’ll never forget the moment I got hooked on photographing storms. It was, luckily for me, my first chase. 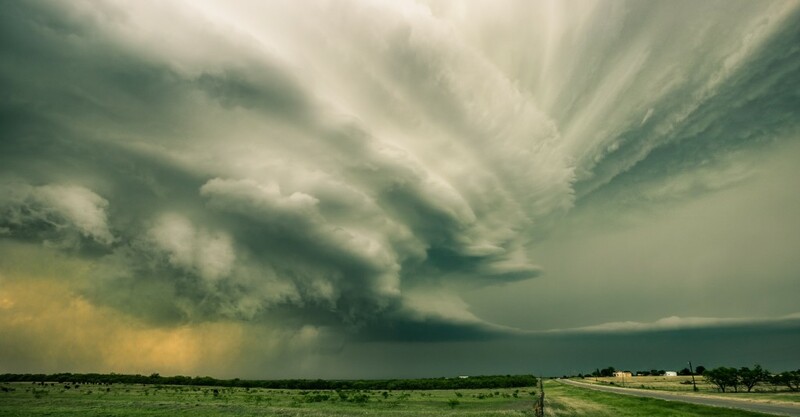 The storm was located near Estilline, TX on May 8th of last year and this was my view. What you’re seeing here is a rotating wall cloud. It’s not an image of an entire storm, but rather a close up shot of part of the storm. Wall clouds are where tornadoes come from, and this thing was trying really, really hard to put one down. As I photographed this scene, I had 30-40 mph sustained winds at my back. That air was hot and damp, the grass in the field in front of me was bent down toward the storm. At that moment I realized that this storm was a living and breathing thing. It was feeding on that warm, moist air and getting bigger and stronger. It was simply incredible. Then the warm air at my back turned cold in an instant. Mike said something to the effect of, “Well, that’s it. Let’s go.” The storm had essentially committed suicide. It was an HP (high precipitation) storm and the rain it was putting down out of camera to the right became it’s downfall (no pun intended). When rain falls, it begins to evaporate. When rain evaporates, it cools the air around it. If that cool air gets in the storms way and starts getting sucked into the inflow of the storm, it loses it’s food source (the warm, moist air from the gulf). Literally within five minutes, the storm had completely collapsed and fizzled out. I was, in a word…hooked. Getting amazing structure and photographing a mature storm is always what we hope for. But there are so many more benefits of chasing down storms. 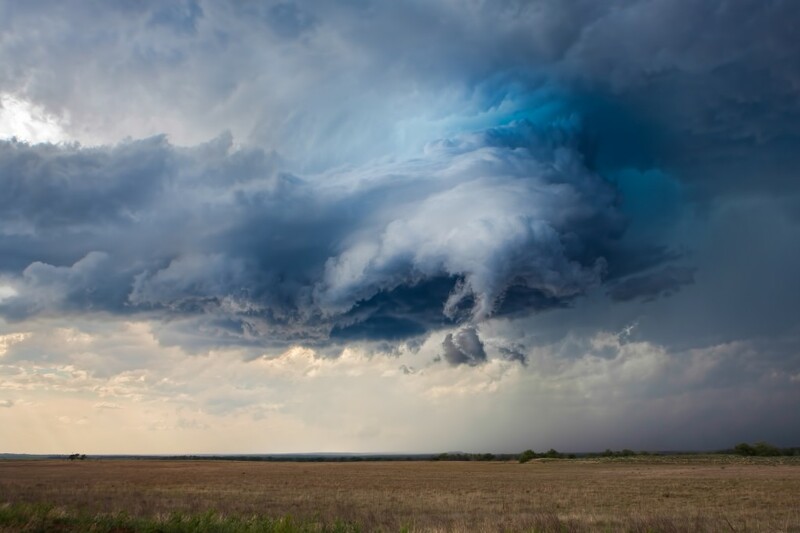 Most storms during storm season will develop in the afternoon, after the ground has had enough time to heat and contribute to the lifting of the storms. Most of these storms begin to weaken around sunset and shortly thereafter. 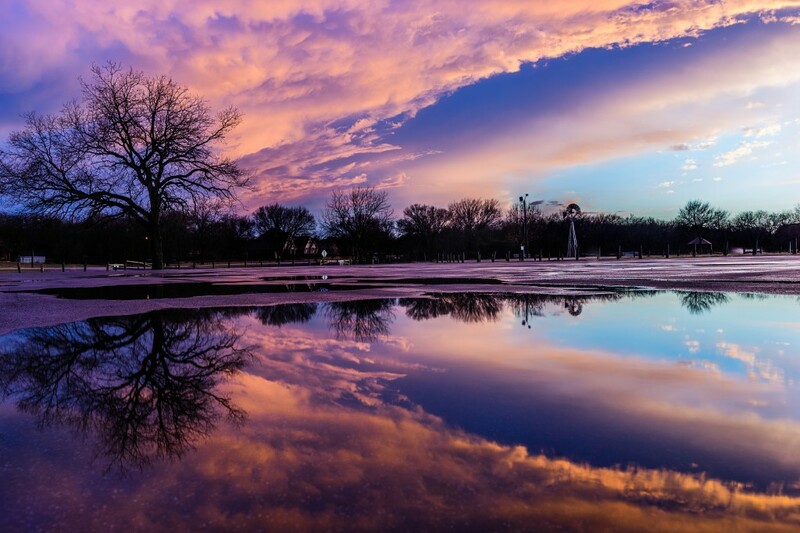 This means that even on a messy day of storm chasing, you are usually in for an amazing sunset. 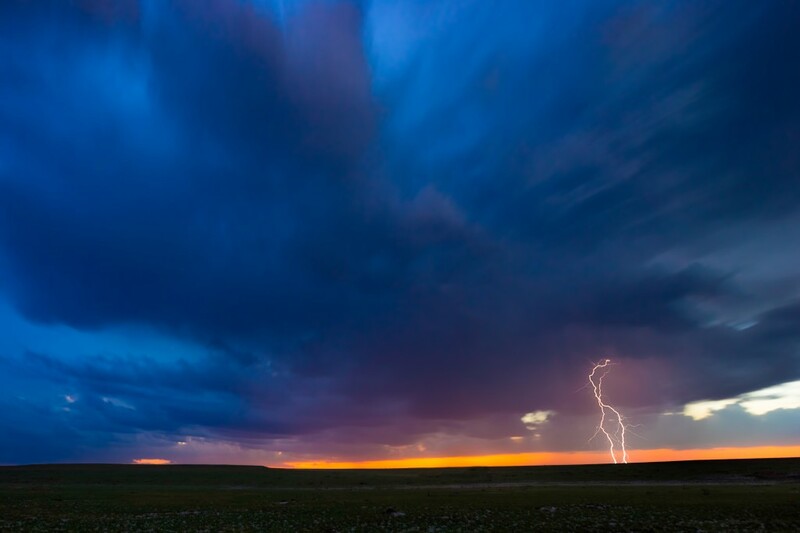 If you can get on the backend of a storm as it begins to weaken after sunset, you can find yourself in some amazing conditions for lightning and dramatic skies. That’s why storm chasing is such a visual overload for photographers; On a perfect day you start out with blue skies and puffy clouds, transition into massive storms with crazy structure and end the day by shooting a beautiful and color drenched sunset followed by a lightning show that goes into the night. It truly is an absolute feast for the eyes. Like I said in the beginning of this post, storm chasing is something that you should never do on your own. Trust me, if you have minimal knowledge of weather and how storms work you will get yourself into trouble. It’s just a matter of time. Whenever I get asked how to get into storm chasing I suggest two routes. First, try and do what I did: Find a storm chaser and see if you can tag along on a chase. This certainly isn’t as easy as it sounds (especially if you don’t live in storm chasing territory). The key is having something to offer in return. Whether it’s some sort of personal connection, or maybe you can help them out with their website or social media presence, or maybe they aren’t even photographers and you can offer to photograph them and document a chase. The key is finding some sort of angle that makes bringing you along less of a chore, and more of something they can’t pass up. Make yourself valuable. If you can’t snag a spot in the car with a chaser, you can always go the route of signing up for a storm chasing tour (check out Tempest Tours). These tours are similar to photography workshops. You sign up, pay the fee and go out for a specified amount of time with a team of experienced and knowledgeable chasers. The downside to this is that the dates are set ahead of time, so there can be no guarantee that you will see storms. The good news is that most of these companies will drive you from one side of the country to the other in search of storms. They will do everything in their power to get you in front of a storm. I’m a landscape and travel photographer before I’m a storm photographer. Therefore, I approach storm photography much in the same way. I’m a big fan of small apertures, low ISO’s and crazy amounts of detail. When you find yourself in the midst of a huge storm; it can be very, very dark (even in broad daylight). These storms can be the size of cities and block out most of the daylight. When you mix low light and small apertures, you will inevitably be using slow shutter speeds. Therefore, you need a tripod. A good tripod. A tripod that can expand quickly and collapse even quicker. A tripod that can be thrown in the back of a car in a moments notice without having to worry if it’s going to break or not. A tripod that will keep your camera still, even in 40+ mph winds. You can see where this is going, right? I also bring several other lenses like a 70-200, 100 Macro and 50 Prime but don’t use them terribly often. Formatt-Hitech filter kit (I got the Colby Brown Signature Collection and love it) for those occasions when the storms are moving slow and we have more time to shoot. It took me five years as a full time photographer to finally make the leap to Really Right Stuff. Storm chasing really had a lot to do with my decision. The tripod setup I had before wasn’t a bad one, but the legs were really thin at the bottom and took way too long to mess with in a timely manner. In addition to that, the tabs at each section contained screws and springs and overtime became corroded and stiff (even with regular cleanings). My pistol grip ballhead was made up mostly of plastic and I’d have to regularly go through and tighten and clean it to keep it working in top shape. Storm chasing is not for the faint of heart. It’s also not something I would recommend for the adrenaline junky either. When you go out for an adrenaline fix, you will take risks that don’t need to be taken. You need to go into it with a level head and a healthy dose of common sense. If you can do that, and you can snag a spot in a chase vehicle with a seasoned chaser then you will find yourself in front of some of the best stuff mother nature can provide. James Brandon is a travel photographer, author and teacher located in Fort Worth and a lover of iced tea, Chipotle, his family and a good espresso. Be sure to sign up for his brand new photo club and check out his website for workshops, blog posts and digital products like e-books, video courses and presets. Images Copyright ©2014 James Brandon. All rights reserved. James, thanks so much for sharing your experience and images. What fantastic shots! I lived in Wichita, Kansas for a summer a long time ago and developed incredible respect and awe for storms on the plains. 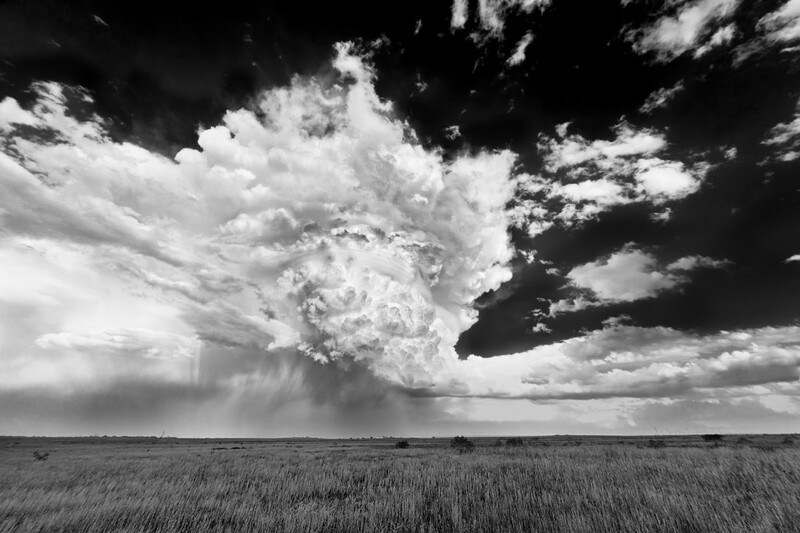 One of these days I definitely want to “chase storms” and try to achieve images as breathtaking as these. Thanks for the kind words Joe! It’s definitely unlike any other type of photography out there, and well worth the effort to get into it. Just be careful and don’t go out on your own! Amazing Images James! Came across this article at 2:30am this morning while researching RRS ballheads as I’m getting ready to upgrade my main tripod’s head.